This statistic shows the total contribution of travel and tourism to GDP across India between 2013 and 2028. 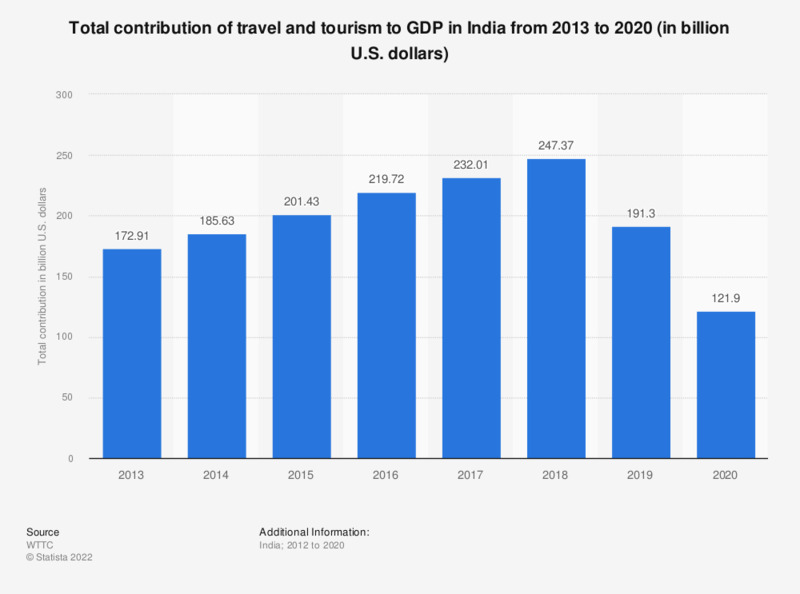 The total contribution of travel and tourism to Indian GDP was forecasted to rise to approximately 492 billion U.S. dollars in 2028, up from about 234 billion dollars in 2017. Separate constant prices and exchange rates were used for each of the figures. In the past year, if you had to pick one, what type of price point traveler are you?